Mangaluru Oct 15, 2016: Soraba MLA Madhu Bangarappa felt that Chief Minister Siddaramaiah should have paid a visit to Kudroli Temple. The CM has failed to live up to the expectations of the people by suspending his visit to the temple, he said. 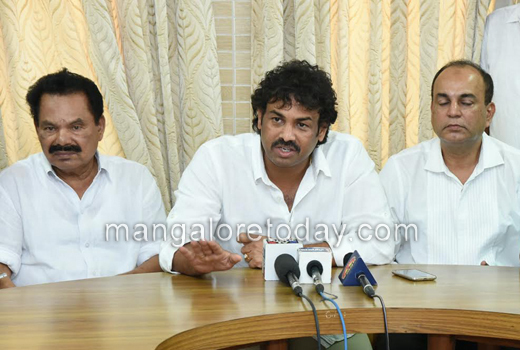 Addressing media persons at Circuit House on October 15, Saturday Madhu Bangarappa said that as per his knowledge, a personal rivalry between Janardhana Poojary and Chief Minister Siddaramaiah, might be the reason behind him cancelling visit to the temple. He also said that leaders from other parties have labelled JD(S) as Father-Son party. As HD Devegowda said state president’s post was left vacant for four months and it was very important that regional party should be headed by Kumaraswamy because of his efficiency, he observed. Referring to his father Bangarappa, he said his tenure as Chief Minister brought significant changes in the state. 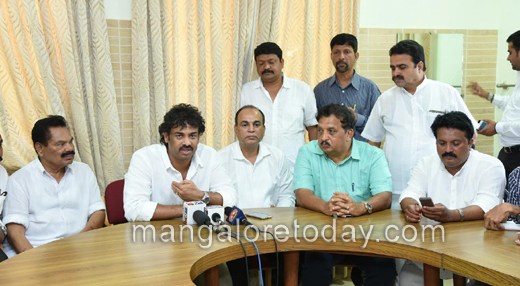 Madhu Bangarappa said that he was grateful to the Congress for celebrating Narayana Guru Jayanthi and agreeing to include his ideologies in school curriculum. BJP through its provocative speeches was making youth indulge in wrongdoings, he alleged. People have stopped expecting from the politicians because they are not less than any artists in the movie. We know it and there is no need to stress on it, Mr Madhu Bangarappa. It is past and think of the present .